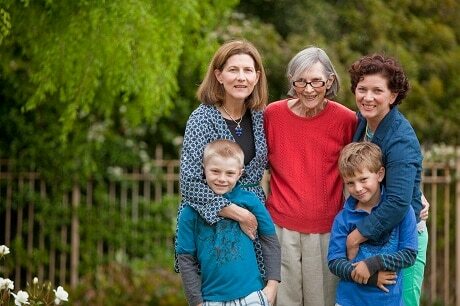 Even in a large family, the role of caregiver often falls to one sibling. This primary caregiver can sometimes feel alone and overwhelmed which can lead to resentment. Your parent may have chosen your sibling or it may be a matter of geography. Your sibling might be more emotionally able to handle the responsibility or they may be more capable of juggling the logistics of caring for a parent and their own families. It could be a matter of financial stability or available space in their home. Or they may have started with providing help with errands and small tasks that progressed into a full-time caregiver for your parent. Whatever the reason or situation, families need to understand the stress that these primary caregivers feel and understand how you can offer helpful support to your sibling. Give your time. Offer to help wherever and whenever you can. This may mean giving your family member a break for a weekend or even just an afternoon. Time away will help them refresh or allow them to reconnect with their spouse and children. Primary caregivers on average spend approximately 18-24 hours per week caring for their parent. In comparison, most siblings will only give between two to four hours if they live nearby and even less if they are out of state or far away from their parent. Giving your time to support and ease the burden of responsibility for your sibling should not be underestimated. Share the burden. In some families, they elect to share the caregiving tasks based on skill set—whether that is emotional support for their parent, managing their personal finances, speaking with medical professionals, or household tasks such as cooking, cleaning, and shopping. A task is always easier and more pleasant if you have the patience and skill to complete it. Let your handy brother help with home repairs, accept help from your bookkeeping sister to manage mom’s bills, and allow your assertive sister to speak with the doctors about dad’s health issues. One caution, make sure they everyone is communicating, so no task is overlooked or forgotten. Teamwork can lighten everyone’s load and bring your family closer together. Be emotionally supportive. We all have the best intentions when it comes to the care of our parents. Try not to be critical of the support and care that your sibling is providing. If your parent is safe and loved, then you should show appreciation for your sibling and withhold criticism. The primary caregiver has a difficult job and deserves your respect. Financial conflicts. Money is often a cause for conflict among siblings, so try to be upfront and get ahead of this issue. Some caregivers give up their jobs to care for a parent or reduce their work hours. We suggest that if a caregiver is to be financially compensated, this should be formally put into writing. This is called a personal care agreement. This agreement can offer security to a primary caregiver so they do not suffer undue financial consequences when caring for a parent. When caregiving responsibilities are shared, it can bring your family closer together. Your parent will be better cared for if you work as a team. Be gentle with each other and support each other on this journey. At Aegis Living we have been caring for seniors and their families for over 20 years. If you have questions about how to navigate shared care giving we would be happy to help. Contact the community nearest you for assistance.